The agency's first campaign for Fender is promoting its California Series acoustic guitar line. SCOTTSDALE, AZ: Guitar equipment manufacturer Fender Musical Instruments has plucked Praytell as its lifestyle PR agency partner in the U.S. The company selected Praytell following an RFP process that involved pitches from six agencies. The search started in December, and Praytell was chosen in late January, with the work beginning on February 1. Praytell is assisting Fender with organic partnerships, consumer events, and a strategic influencer program. "They are helping us identify new core audiences and inspiring the next generation of players," said Christina Stejskal, Fender's head of global communications. Praytell’s first campaign for Fender is promoting its California Series acoustic guitar line, which is set to launch on March 20. Kaitlin Novell, account strategy director at Praytell, is leading a team of six on the account. Budget information was not disclosed. Azione, the incumbent on the account, worked with Fender from June 2016 to February 2018. Fender and the agency mutually decided to part ways. "They were really solid partners in our first year in targeting lifestyle media and more robust storytelling," said Stejskal. "We ended the relationship on a positive, high note." Fender is not working with any other PR firms. Azione made the decision to part ways "amicably" from Fender, rather than renew the contract, Azione cofounder Michele Thomas said via email. She noted that the collaboration was positive. 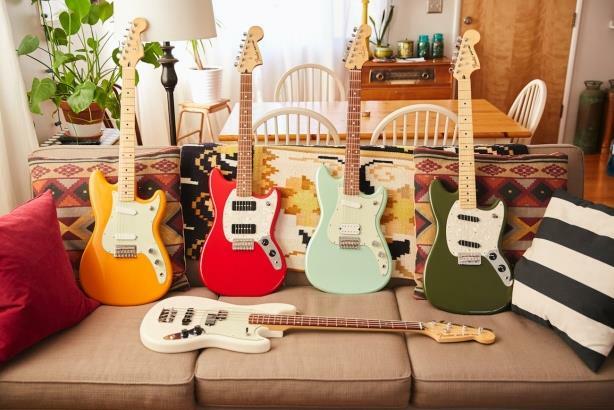 "After nearly two years of successful partnership between Azione and Fender Musical Instruments, we as an agency felt that we’d been able to not only meet but surpass all of the objectives we’d set forth at the start of our partnership—helping to bridge the gap between today’s consumer and the brand," said Thomas. Editor’s note: This story was updated on March 9 with comment from Thomas.